A documentary should reflect your ability to use audiovisual equipment to communicate your topic’s significance. The documentary category will help you develop skills in using photographs, film, video, audio, computers, and graphic presentations. Your presentation should include primary source materials and also must be an original production. To produce a documentary, you must have access to equipment and be able to operate it. How is a Documentary Different from Other Categories? Am I interested in using computers, cameras, and other technologies? Can I conduct and record interviews (for the purpose of including film clips in the documentary)? Can I find film clips to use in my documentary? Are there enough still photographs related to my topic available that I can use in my documentary? Do I have access to equipment that will be needed to make a documentary? Is creating a documentary the best way to show off my topic? Create a documentary notebook. Use this to write down all of your ideas and keep your research organized. Watch historical documentaries and write a list of what you think makes a great historical documentary. Research the topic first. Examine secondary and primary sources, taking careful notes and keeping track of which source each piece of information came from. From your research, you should come up with your thesis – the argument you want to make with your documentary. Keep a database. It is important that you have a database where you keep track of all of the information you are gathering. A database is simply any place where you can collect and easily access your sources and production materials. Create a timeline. Before you jump into your project, it is a good idea to create a preliminary timeline of when you want to finish important steps along the way, especially the start and end dates of pre-production, research, production, and post-production. Create a budget. On the practical side, you need to have a sense of the costs of doing this project. Remember you don’t have to break the bank to make a film. Spending more money does not make a film better in quality. A process paper is a description of how you conducted your research, developed your topic idea, and created your entry. The process paper must also explain the relationship of your topic to the contest theme. For more information on the Process Paper and other rules, review the Contest Rule Book (English) / Contest Rule Book (Spanish). 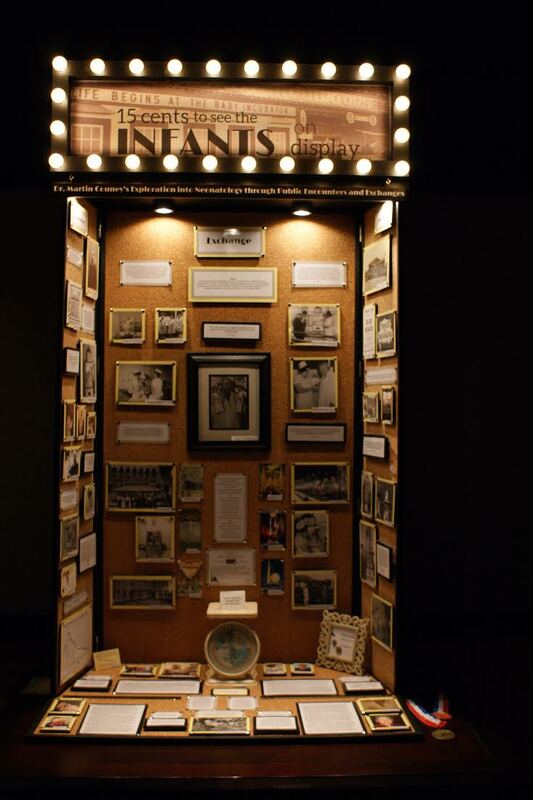 An exhibit is a visual representation of your research and interpretation of your topic’s significance in history. The analysis and interpretation of your topic must be clear and evident to the viewer. Labels and captions should be used creatively with visual images and objects to enhance the message of your exhibit. How is a Exhibit Different from Other Categories? The exhibit category is three dimensional and is displayed on a physical structure. Exhibits use color, images, documents, objects, graphics, and design, as well as words, to tell your story. Exhibits can be interactive experiences by asking viewers to play music, look at a video, or open a door or window to see more documents or photos. Research the topic first. Do your secondary research first. Reading secondary resources will help you understand your subject more completely, point you to primary sources, and assist you in selecting the important points you want to investigate and the key questions you want to ask. 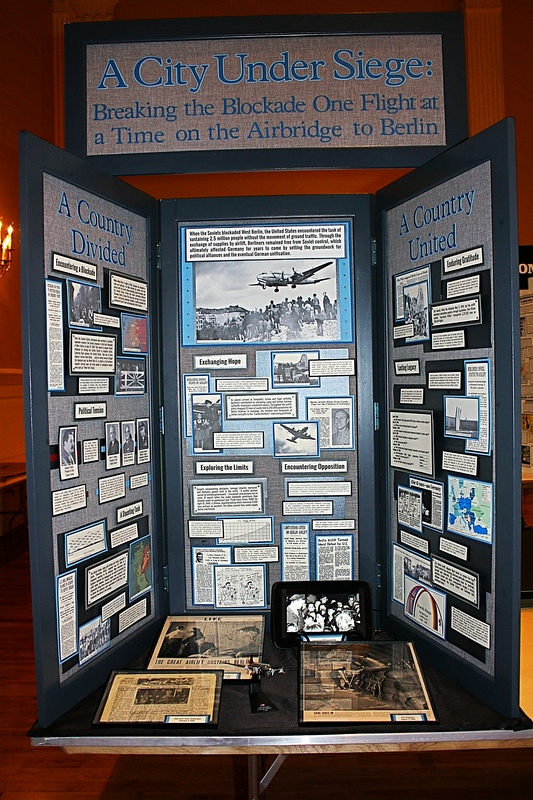 Does the item fit in with the NHD theme and the theme of your exhibit? Does the item advance the story you are trying to tell? Is the document you are thinking of displaying too long or too wordy? Is it easy to read and understand? Will it take up too much space on your exhibit? Is the item visually interesting? What images best tell your story? 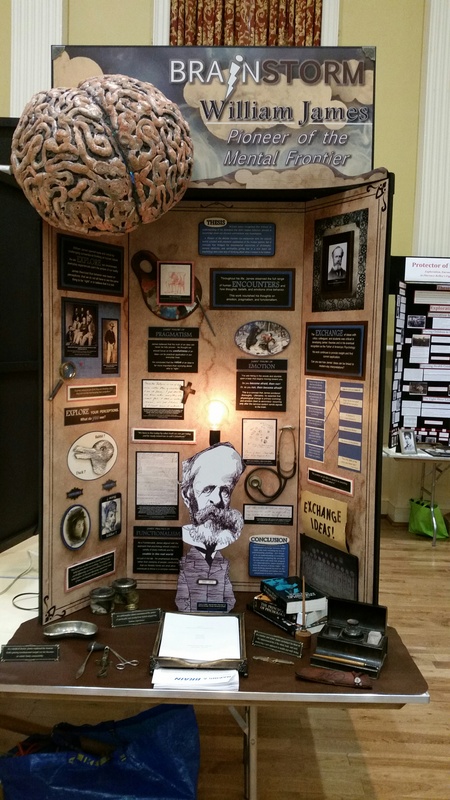 Do you want to include artifacts in your exhibit? Will your exhibit contain audiovisual materials? Prepare the script. Writing your titles, text, and labels is often referred to as writing the script. Like all good writing, your exhibit script needs to be grammatically correct, use good sentence structure, make wise word choices, and contain no spelling errors. You should expect to write several drafts. Exhibit labels are brief, so they need to be clear and concise. A paper is the traditional form of presenting historical research. Various types of creative writing (for example, fictional diaries, poems, etc.) are permitted, but must conform to all general and category rules. Your paper should be grammatically correct and well written. How is a Paper Different from Other Categories? A paper is a highly personal and individual effort, and if you prefer to work alone this may be the category for you. Papers depend almost entirely on words to tell the story, and you can usually include more information in a paper than in some of the other categories. The paper category does not require a process paper to be submitted with the project. Conduct your research. Examine secondary and primary sources, taking careful notes and keeping track of where each piece of information originated. From your research, you should come up with your thesis – the argument you want to make in your paper. Make an outline. Using your notes, you can create a list of the main points you want to include in your paper, where each piece of information will go, and in what order. This will help when you sit down and start to write your paper. Start writing. You might begin by writing your introduction in which you state your thesis. Introduction: your introduction should tell the reader where you intend to go with the rest of your paper. Body: the main body of your paper is where you can make the case for your conclusion and present your evidence, the primary sources, and your analysis of how they support your thesis. Conclusion: your conclusion is like the summary of your paper. It should summarize your main points that prove your thesis. Read and revise. A polished product takes time, so it is important to re-read and revise your paper. Check for clarity, unity, and coherence. 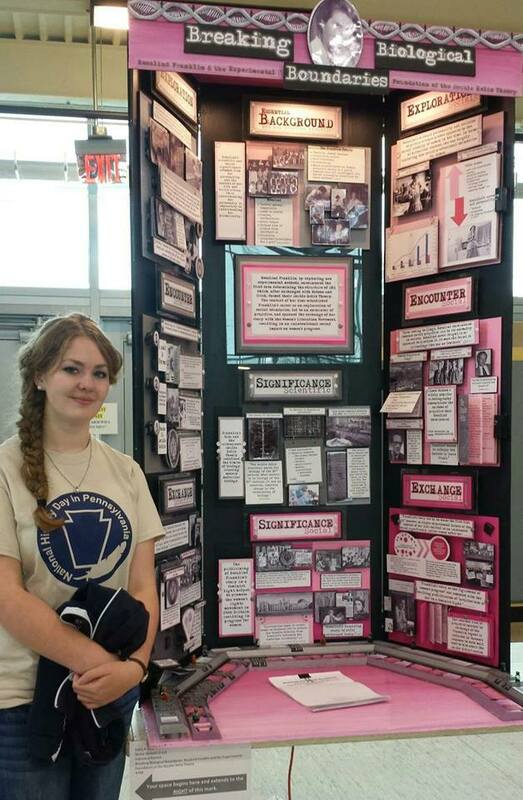 Is it clear how your topic relates to the NHD theme? Does your conclusion flow logically from your thesis? A process paper is not required for the paper category. For more information on the Process Paper and other rules, review the Contest Rule Book (English) / Contest Rule Book (Spanish). This check-off sheet will guide you as you review your entry to make sure you have followed NHD rules for the Paper category. A performance is a dramatic portrayal of your topic’s significance in history and must be an original production. It should be scripted based on research of your chosen topic and should have dramatic appeal, but not at the expense of historical information. How is a Performance Different from Other Categories? The performance category is the only one that is presented live. Developing a strong narrative that allows your subject to unfold in a dramatic and visually interesting way is important. Memorizing, rehearsing, and refining your script is essential, so you should schedule time for this in addition to research, writing, costuming and prop gathering. Consider individual versus group. Decide whether the chosen topic will be most effective as a group or as an individual performance. Research the topic first. Write down important facts or quotes that may be important to the performance. Write a thesis statement, supporting statements and a conclusion. Think about how these might become part of your performance. Prepare a script. Brainstorm with general ideas and how they might be presented. If a group is performing, each member should describe different ways in which characters might interact. Make sure your script contains references to the historical evidence found in your research. Using actual dialogue, quotations, or brief excerpts from speeches are good ways to put historical detail into your performance. Remember that your script should center on the thesis statement, supporting statements, and the conclusion that you developed from your research. Prepare the set. Think about different types of sets that might help depict your topic. Is there a prop that is central to the story? Prepare the blocking. To “block” a performance is to determine where the actors will stand, move, and/or relate to the set. You should think about these movements when deciding what type of set to design. Prepare the costuming. Good costumes help make a performer convincing, but make sure they are appropriate to the topic. You do not need to purchase or make an elaborate costume – sometimes simple works best (For example, a white shirt and dark pants/skirt can fit almost any time period). Practice, practice, practice! Work on speaking clearly, pronouncing all words correctly, and projecting your voice so that the judges and the audience can hear every word. Rehearse with the set and full costumes as often as possible. This check-off sheet will guide you as you review your entry to make sure you have followed NHD rules for the Performance category. The website category is the most interactive of all NHD categories. A website should reflect your ability to use website design software and computer technology to communicate your topic’s significance in history. Your historical website should be a collection of web pages, interconnected by hyperlinks, that presents both primary and secondary sources and your historical analysis. To engage and inform viewers, your website should incorporate interactive multimedia, text, non-textual descriptions (e.g., photographs, maps, music, etc. ), and interpretations of sources. To construct a website, you must have access to the Internet and be able to operate appropriate software and equipment. Websites can display materials online, your own historical analysis as well as primary and secondary sources. Websites are interactive experiences where viewers can play music, look at a video or click on different links. Viewers can freely navigate and move through the website. Websites use color, images, fonts, documents, objects, graphics and design, as well as words, to tell your story. Create your website with the NHD Site Editor.Click here to begin the registration process. PLEASE NOTE – If you converted your website to save from previous contest years, you will need to use a new email address to create an account for the 2015 contest. The email address is optional and only used to recover passwords in the event of forgotten or lost passwords. If you have any further questions please email IT@nhd.org with your current URL and login information. If you have lost your login information, cannot convert your standard Weebly to NHD Weebly, or need an account recovered please email nhdsupport@weebly.com. This check-off sheet will guide you as you review your entry to make sure you have followed NHD rules for the Website category. 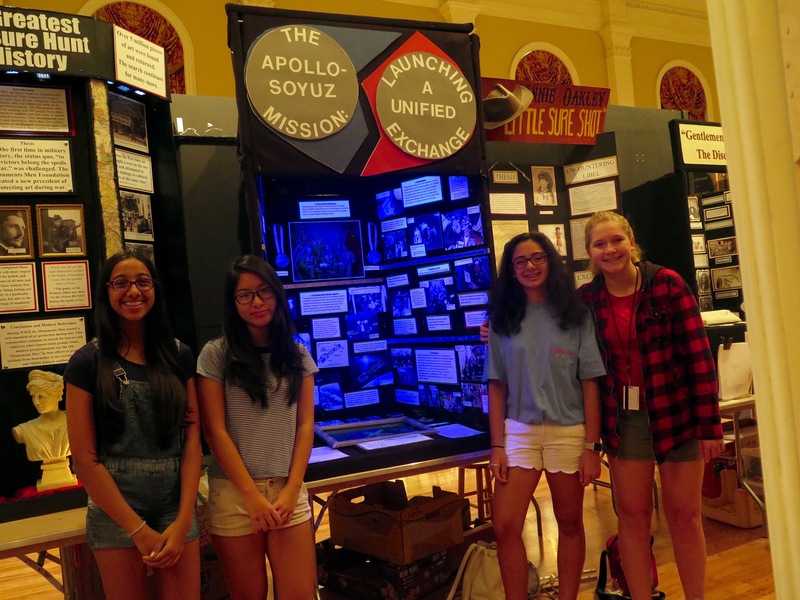 Have questions about NHD Weebly? Here are our most frequently asked questions!